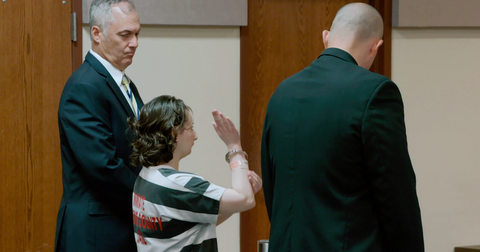 Some new details have surfaced surrounding Gypsy Rose, who’s currently serving her 10-year sentence for pleading guilty to second-degree murder. For one, she recently opened up to Bustle about her thoughts on the fictionalized show. “I feel it is very unfair and unprofessional that producers and co-producer Michelle Dean has used my actual name and story without my consent, and the life rights to do so,” she said in a written statement. 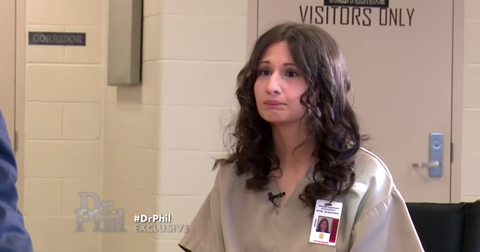 Like, when does Gypsy Rose get out of jail? Who is she marrying? Does she have an engagement ring? And whatever happened to her ex-boyfriend Nicholas Godejohn, who conspired to murder Gypsy Rose’s mother? Keep reading to find out. After killing her mother, Dee Dee, Gypsy Rose pleaded guilty to second-degree murder in 2016. She was sentenced to ten years at Chillicothe Correctional Center in Missouri. This means she’ll be released in 2026, though she’ll be eligible for parole two years earlier, in 2024, right before her 33rd birthday. However, Gypsy’s father and stepmom are hoping for an earlier release, and many members of her community — as well as others sympathetic to her story — have begun signing petitions for her to get out sooner and pressuring the Missouri governor to pardon her altogether. 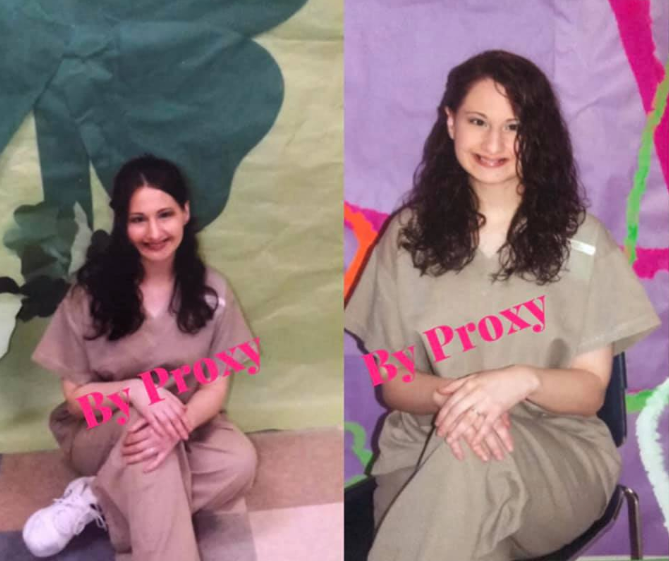 While behind bars, Gypsy has been working toward her GED and even forging new friendships through the prison’s pen pal program. Most notable of all of her pen pals is the unnamed man she’s currently engaged to marry. So, who is Gypsy Rose’s fiancé? 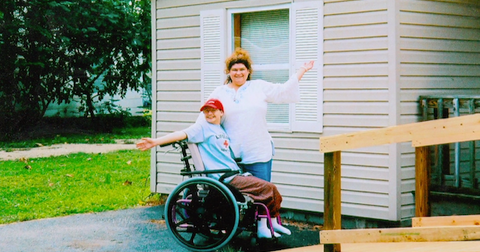 Gypsy Rose’s fiancé started writing to her after he watched Mommy Dead and Dearest. Riddled with pity and empathy for Gypsy Rose, he reached out with some words of encouragement. Well, that turned into a relationship through email — and if we know anything about Gypsy Rose, it’s that she’s no stranger to online relationships. According to the photos on By Proxy‘s Facebook page, Gypsy Rose has even managed to nab an engagement ring. However, this ring wasn’t given to her by her fiancé. Instead, it belonged to another inmate who was going through a divorce and wanted Gypsy Rose to keep it for the time being. “They’ll go together and pick out rings, obviously later, at a time when she’s out and they could do that and have their own intimate moment,” Fancy explained. Unlike her relationship with Nicholas Godejohn, Gypsy Rose no longer has to keep her engagement a secret. This means that many members of her family can also be more involved and look out for Gypsy Rose’s best interest. 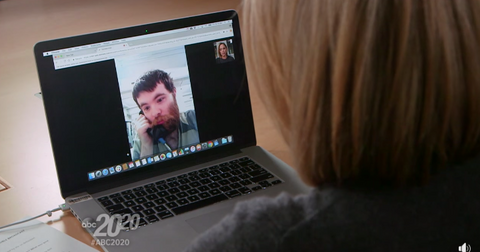 Her father and stepmother are in regular contact with the young man through phone calls and emails, and even plan to visit him next month. As for Godejohn, whose trial was delayed several times, Gypsy Rose’s conspirator finally got his day in court in November of last year. Unlike Gypsy Rose, Godejohn tried to plead not guilty on the grounds of being a “low-functioning person with autism” who had been manipulated by his girlfriend, but the jury was not having it. They found him guilty of first-degree murder and sentenced him to life in prison without the possibility of parole in February 2019.